Over the course of three days in August 2015, the 7th Creative Time Summit, devoted to expanded notions of “curriculum,” will take place within the 56th International Art Exhibition of la Biennale di Venezia, All the World’s Futures, curated by Okwui Enwezor. Since 2009, the annual Creative Time Summit has operated as a convening, a discussion, and a platform for the intersection of art and politics. 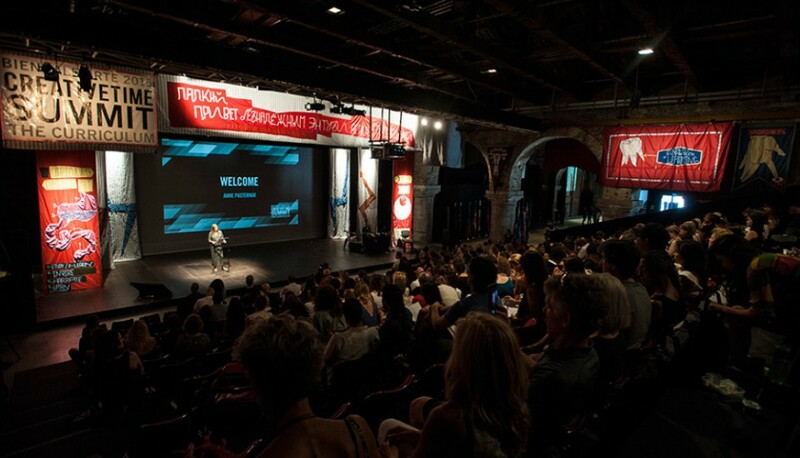 The Venice Art Biennale offers a unique opportunity to gather an international, interdisciplinary community to consider how knowledge is produced and how it comes into contact with civil society. In its original Latin, curriculum signified a course, like the path that one ran around or traversed in a racing chariot. When the term began appearing in seventeenth-century Scottish universities, it was used figuratively to mean “a course of study.” Eventually, it signaled that which prepares a person for working, thinking, and participating as a fully developed member of society. When understood as a network of lived experiences, learned actions, and known facts, curriculum speaks of all that this Summit hopes to address. How is knowledge formed within a person and transmitted through time, space, and social relationships? What learning practices reinforce colonialist views, leave out essential narratives of history, or otherwise support dominant power structures? How do new technologies effect the way information is controlled and disseminated? By asking questions such as these, we ultimately reiterate questions that arose from the tremendous hope, passion, and ambition that accompanied many of the key populist movements in the last few years, from the Arab Spring to the revolts in Greece, from Occupy Wall Street to Occupy Hong Kong: Who do we—as a world community—want to be, and what forces shape who we are? More people have access to education than ever before. Yet being a student often requires facing brutal geopolitical realities. While many Western colleges and universities boast historically high enrollment, low-income students are graduating at rates far lower than their wealthy classmates and many students leave university to enter a nearly jobless economy with crippling debt. In response, initiatives such as the Bologna Process and the U.S. Common Core State Standards attempt to reposition education as vocational training for low-wage jobs or power-brokering for the one percent. Across the globe, students are also targets of violent attacks and we see them mobilize against injustice with methods that are as savvy as they are courageous. Outside traditional institutions of education, alternative schools, on-line courses, and open-source information sites foreshadow more decentralized and anarchic spaces for acquiring knowledge. Meanwhile, marginalized knowledge systems are being reactivated through the exploration of indigenous, decolonized, experimental, or radicalized curricula. Indeed, our collective future is determined by what is learned, how it is learned, and the conditions under which learning takes place. 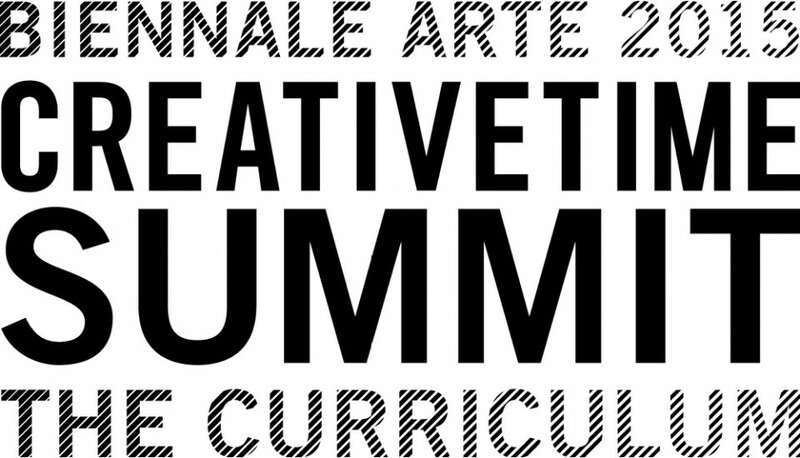 The 2015 Creative Time Summit is our biggest Summit to date. Spanning three full days of panel discussions, artist projects, short presentations, keynote addresses, and events, the program provides continuous opportunities for conversation, networking, shared learning, entertainment, and debate. As in past years, audience members outside of Venice will be able to contribute to the discourse through Livestream screening sites around the world. Online and onsite, the Summit will engage participants in new and unexpected forms of curricular activity. -Nato Thompson, Chief Curator, Creative Time.